Do you wish to develop and generate a mobile application but do not know how to begin? 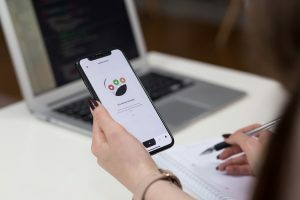 This article provides an in-depth process that will enable you to develop your own mobile app, with a sequential guideline that details what needs to be done in logical order to ensure you develop an app that befits your needs. One of the main reasons of existence of apps is that they solve problems and make things easier for their users. Looking at things from this perspective, it is important to identify problems your business may possess and look for ways to solve them through the mode of a mobile application. This part of the process is quite imperative, particularly because it resides at the beginning where fruition of ideas are yet to arise. If you already have an idea for an app, this phase may not necessarily be particularly important. However, laying the foundations of an app through finding and solving problems is key to reaching the ultimate goal of possessing an app. It goes without saying that the most resoundingly flawed app is the one that was developed for no-one. It only exists to represent vast amounts of time and money squandered for everyone involved. 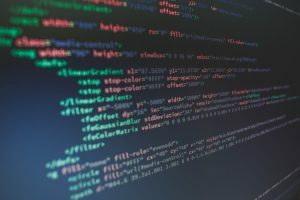 Therefore, to prevent this from occurring, the requirements of who the app is meant for need to be outlined; ensuring that the target audience is taken into account is a key component for businesses developing apps, and the ways in which they will be targeted should be established early in the development process for an app. This phase of the development process is where things begin to become more technical. The Planning process shifts away from the theoretical perspective and businesses must decide what should and shouldn’t exist in the mobile app. Despite this, laying out the basic features and functionality will highlight for a business what they want the app to entail, and in doing so will enable hired developers with a greater sense of what a business wants in an app, which benefits all parties involved. Choosing the right app development company could be the difference between a successful and lacklustre mobile application. A decision should not be made quickly; but instead, deliberation and analysis into which company is the best fit is optimal. It is important to look through options for hire through their previous projects and the costs involved, at which point the app is closer to completion. It is also important to establish amicable and informational communication and feedback with the chosen development company, so that you can view progress and provide insight at various stages to ensure the app is completed to satisfaction. Once your app is ready, it is now time to upload it. Depending on how it was developed, it would be available for uploading on the Apple Store and/or the Google Play Store. Before this is done, however, a developer account must be obtained. This allows for the ability to sell an app on a corresponding store. Feedback is the recipe for a mobile app to improve. Discovering what people think of the app and analysing their pros and cons will give greater scope to further upgrade and enhance the app’s features. Feedback should not be implemented once; but rather be a catalyst for continuous improvement to maintain or perhaps even increase user numbers. Feedback provides reason for updating an app, but do not attempt to go overboard and implement undesired or unnecessary features; instead aim to refine the areas that need refinement, as identified from feedback. To summarise, developing an app certainly is not easy, but this article attempts to simplify the process into succinct and simple to understand steps. This guideline does not encompass the entire fabric of mobile app development, however seeks to provide a framework for you to successfully develop your own mobile app.